The trucking industry is about people; truck drivers support our communities and each other. This month we are recognizing individuals who helped someone in need. We thank them for their continued service in the trucking industry and for choosing to be a part of TransAm Trucking. Robert was on home time with an empty trailer when he received a call from his Driver Manager, Logan. There was a driver in the area with a broken down trailer who needed to switch a trailer to get the load delivered on time. According to Logan, “Robert didn’t even hesitate to help us out.” He drove to the other trailer’s location and made the switch. We appreciate Robert and his willingness to help a fellow driver. Thank you for your noble act. 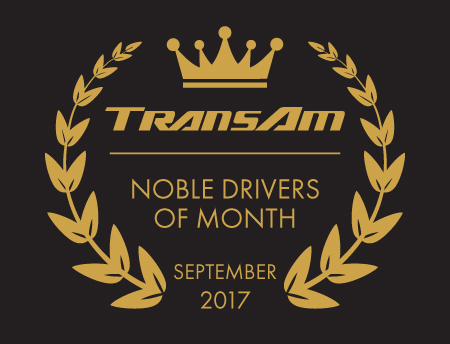 Earlier this year, we recognized Nehru for his first Million Miles with TransAm Trucking. During his ceremony he said, “You can’t drive a million miles by yourself.” He lives by these words. In early September, Nehru helped walk a newer driver through registering a check. Nehru covered each step, calming the driver down so he could think through the problem. Everyone needs a little help sometimes. We are glad Nehru was there to smooth out the bumps. Thank you. TransAm Trucking is a team. Reginal proved this when he was asked to relay with another driver late last month. The driver needed to get his APU fixed and could not do that and get the load delivered on time. Reginal stepped up and completed the run for the other driver. “I think he went above and beyond the call of duty for his load,” says his driver manager, Penny. Reginal maximized his opportunity to succeed while helping another. We are glad to have Reginal on TransAm Trucking’s fleet. Ray Nolin became a TransAm Trucking company driver in 2002 and joined the Mentor Program shortly afterward. Up to this point in his tenure, Ray has mentored almost 200 mentees! His biggest emphasis is on running safely. He gives out his suggested list of pre-/post-trip checks to each mentee to ensure they don’t miss steps during their inspections. Ray is also constantly pushing himself to be a better mentor. “Ray will still ask how he can help to improve our program through being a better mentor,” says Darren Whiteside, Manager of TransAm Trucking’s Training & Development. “We appreciate Ray’s service to our program as a mentor, as well as his excellence as a driver for TransAm.” Thank you, Ray, for choosing TransAm Trucking.